The CI381 Is a 8kg 1400rpm spin speed integrated washing machine. It is perfect for medium to large sized house holds with its 8kg wash load and the A+++ energy rating with ensure that running costs stay to a minimum. The variable spin and temperature functions means that you can adapt your cycle what ever your laundry needs and the 15 minute quick wash means you can get clothes clean in a flash without compromising. Perfectly integrated and designed to perform brilliantly, time and time again, this range of washing machines fit discreetly behind your kitchen cabinetry and offer advanced technology to work both effectively and efficiently. Our washing machine range is designed to be efficient and effective in your home. While you want your washing machine to be there, every day that you need it, you don’t necessarily want to have to see it every day. 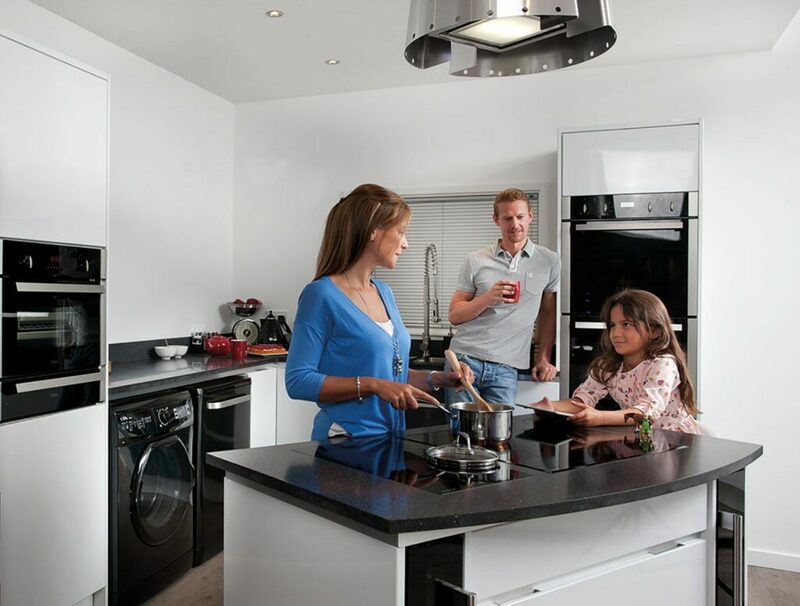 That’s why we have created this range of integrated appliances. They come with fixing kits that allow your kitchen cabinetry doors to be adhered to the front of the appliance and neatly stow it away behind the streamlined fascia of the rest of your kitchen. The CI325 is a neat little appliance with an impressive A++ energy rating. 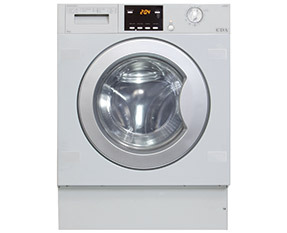 It offers a 1200rpm spin speed and 11 programmes to choose from for washing any type of laundry load. It can hold up to 6kg which is ample for most households-see our capacity guide to find out what size capacity you will need for your house. In a rush? No problem as the CI325 can manage a quick wash in just 15 minutes. There are also specialist functions for delicates, woollens and for when you need an intensive wash to sort out your garments. The CI371 is a slightly larger appliance for the household that has a larger dirty laundry basket. It still has a solid A+ energy rating, making it efficient with water, electricity and kind to your pocket. As well as a larger capacity this model has a faster 1400rpm spin speed to cope with the extra clothing and water. There are 15 programmes to choose from and a delay timer so that you can set your washing to start at a time that suits you, while still clearing everything out of the way. To find out exactly which laundry programme you need, take a look at our guide to match up your garments and wash type to the function on your appliance. Using the programmes correctly will help you get the absolute best from your washing machine. In the unlikely event that something goes wrong, we have built in total aquastop and anti-flooding safety into our machines to ensure that the water is cut off and damage to your home is extremely limited. This could give you peace of mind if you have ever had a kitchen flood in the past. With delay timers, adjustable spin speeds, up to A++ energy ratings and safety features like aquastop to protect from any accidents, the CDA range of washing machines are efficient, practical and brilliant at looking after your laundry time and time again. The LED displays make these models easy to use and the selection of programmes allow you to adjust your wash style to the job in hand. We’ve tried to think of everything to make laundry less of a chore and flexible to help you get the wash results you are looking for. For more information on our laundry technology, visit our buying advice centre here.